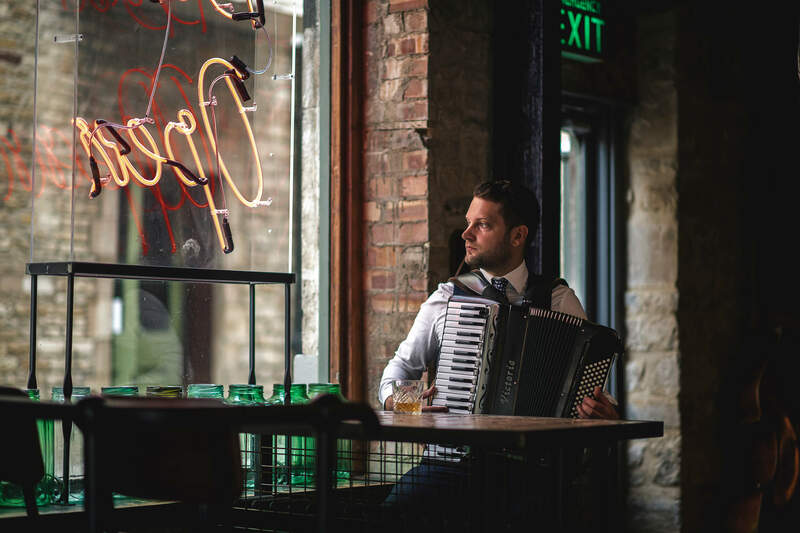 Jonny is one of the UK's leading Jazz Accordionists and has studied with some of the worlds top Jazz Accordionists including Frank Petrilli (USA) and Richard Galliano (France). He writes many of the arrangments & compositions for the group. 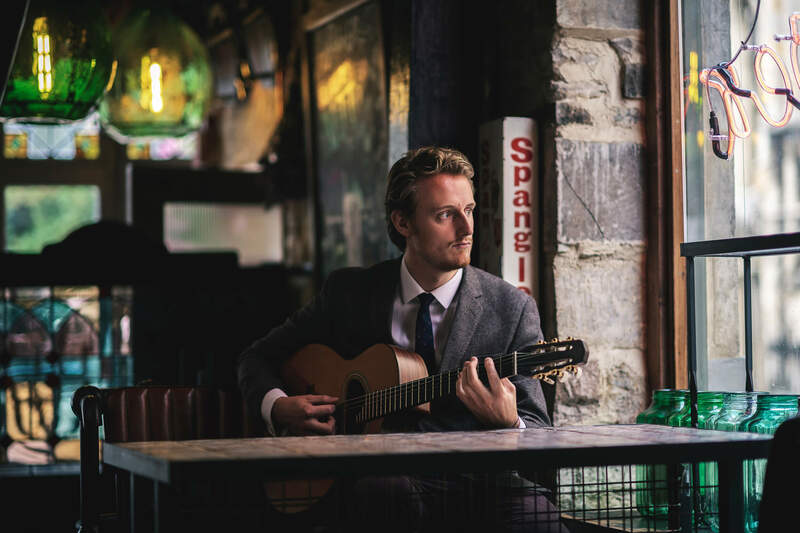 Harry Diplock is a London-based Jazz guitarist, regularly playing rhythm and lead in a wide variety of Jazz, Swing and Gypsy Jazz groups & is one of the top young players on the Gypsy Jazz scene today. 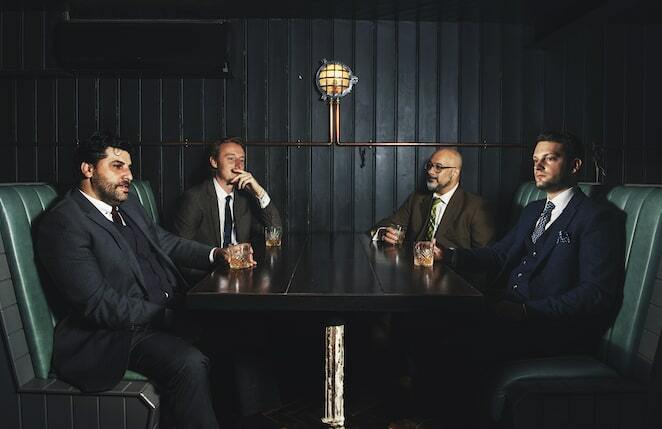 Ducato is a London based guitarist from a Romani gypsy background, originally from Poland. 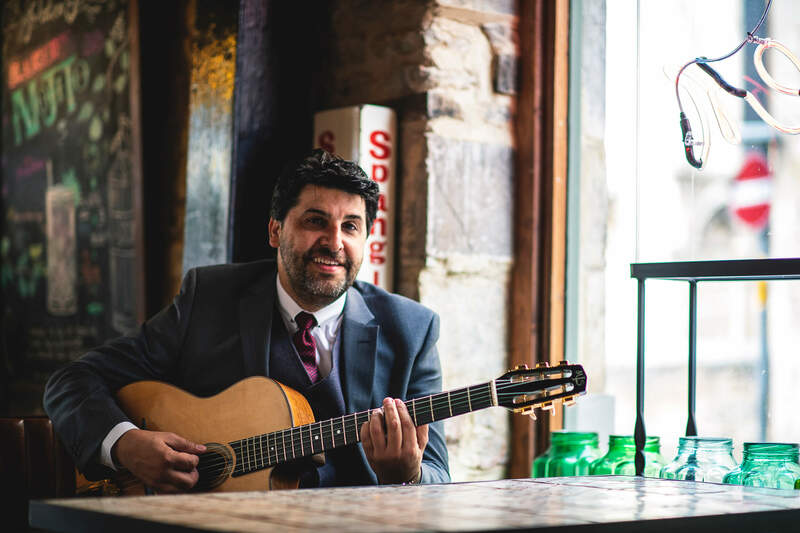 He has been on the Gypsy Jazz scene for a number of years and has played along side some of the worlds top players in the genre. 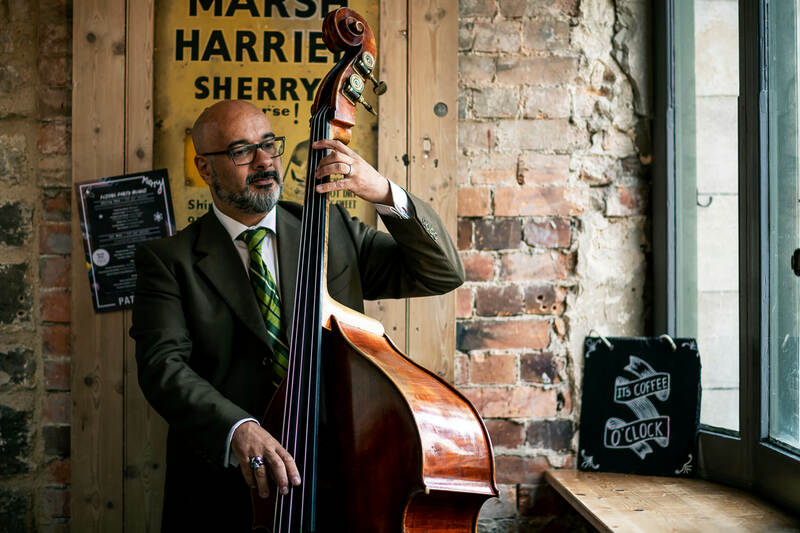 After securing a First Class (Hons) Degree from The Birmingham Conservatoire Mike found himself greatly in demand playing Double and Electric Bass. He gained vast experience from performing at small intimate Jazz Clubs with award-winning groups to appearing on Prime Time National TV.